Richard Mille’s newest ambassador Alexander Zverev claimed victory on the clay of Madrid on May 13th. 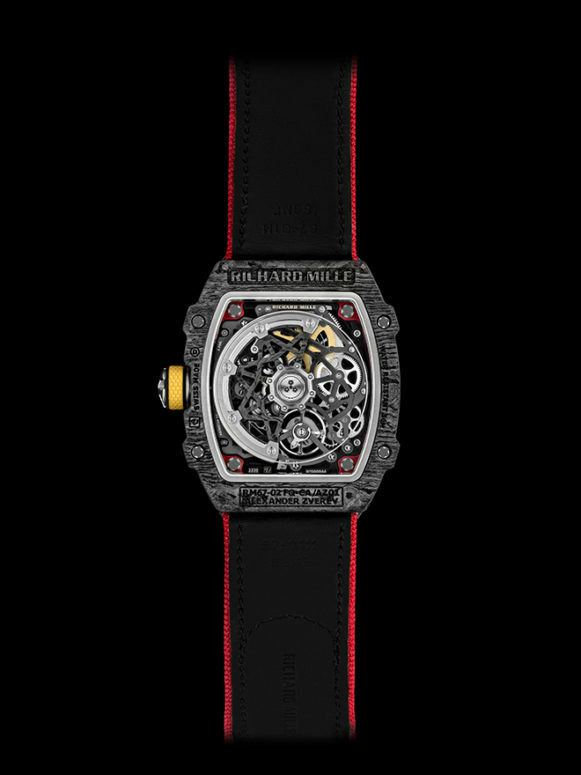 Wearing a customized variation of Richard Mille RM 67-02 on his left wrist, Zverev defeated Dominic Thiem, who earlier knocked Rafael Nadal out in the quarter-final, winning 6-4, 6-4 in the Madrid Masters final. Zverev, already victorious in Munich the week before, wins the 3rd Masters 1000 following the Rome and Montreal games in 2017, keeping his World No. 3 ranking. With his powerful first serves usually clocked at 200 km/h and his deadly second serve delivered with Zverev’s signature spin and accuracy, the age of 21, Zverev cements his place as the second youngest Madrid Master champion behind Rafael Nadal, who won it at the age of 19 – also an ambassador of the Richard Mille family. 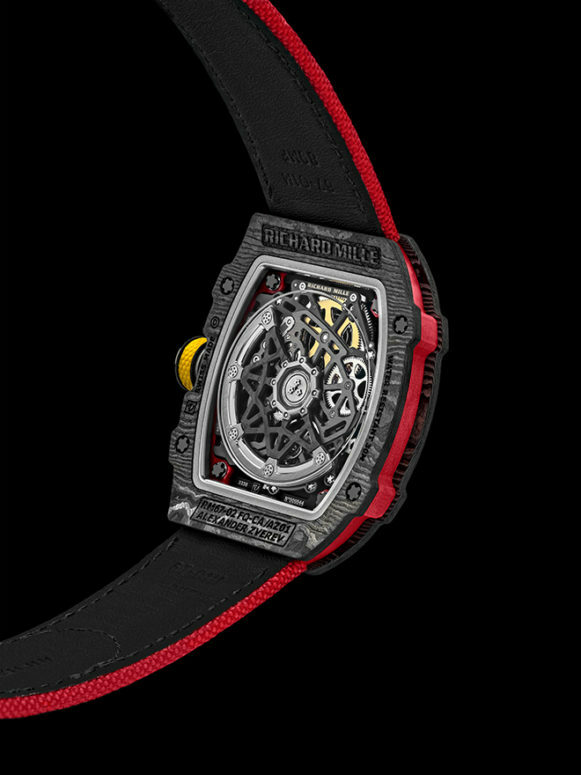 The Richard Mille stable of high performing athlete-ambassadors is not incidental. 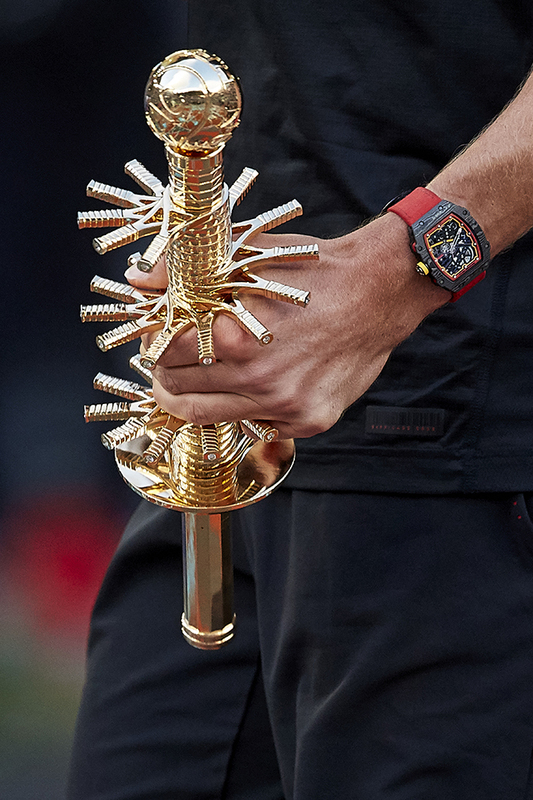 The brand made a name for itself with research and development of highly robust timepieces meant to endure the rigors of G-Forces and powerful racquet swings, thus his performance in Nadel’s homeland was no coincidence, additionally, Alexander looks up to his fellow brand ambassador, “Rafa is still the man to beat and the big favourite for Roland Garros.” His victory against Thiem has not just proven a possibility that German can be a major threat at the French Open later this month, but also a match that signifies a lessened gap in the number of victories between him and Nadel. Richard Mille ambassador Alexander Zverev winning at Madrid proves once again that the brand has keen sight on not just picking elite athletes and winners. 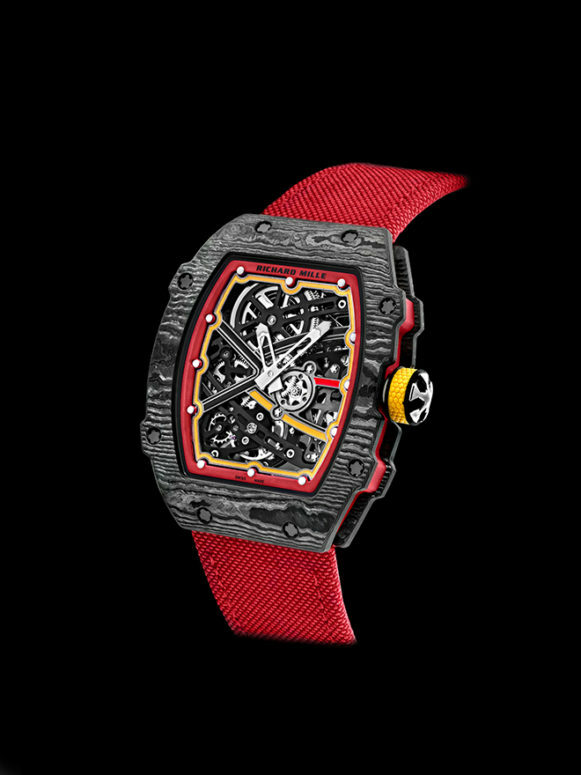 As with all the brand’s ambassadors, Zverev wear his special custom RM 67-02, a one of a kind version in black, red, and yellow to represent his home country. Strap: Textile “comfort strap,” seamless and elastic.